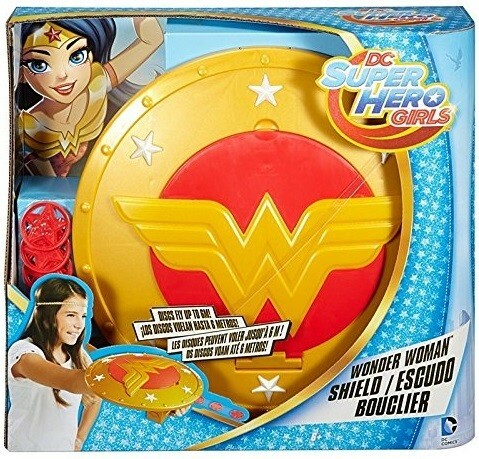 Girls can explore their inner heroes with this pretend play accessory that allows them to find the wonder in hero gadgetry! 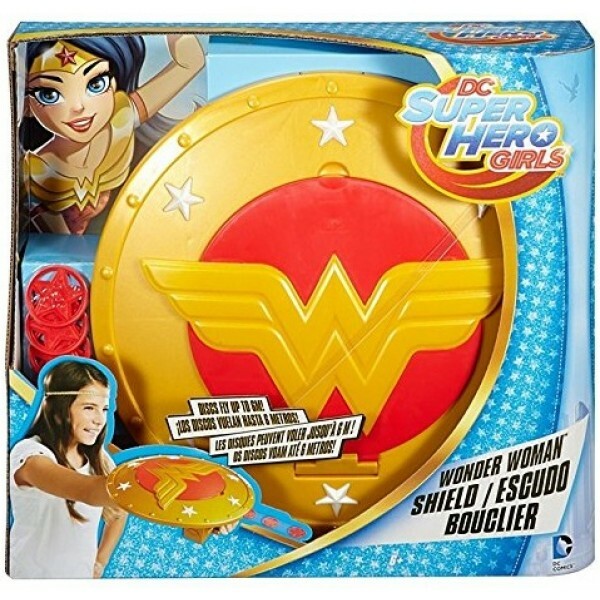 Wonder Woman's golden shield looks great with its classic emblem...but it's got super secrets when the going gets tough. Press a button and you can launch concealed plastic discs up to 22 feet to defeat the villains and save the day! 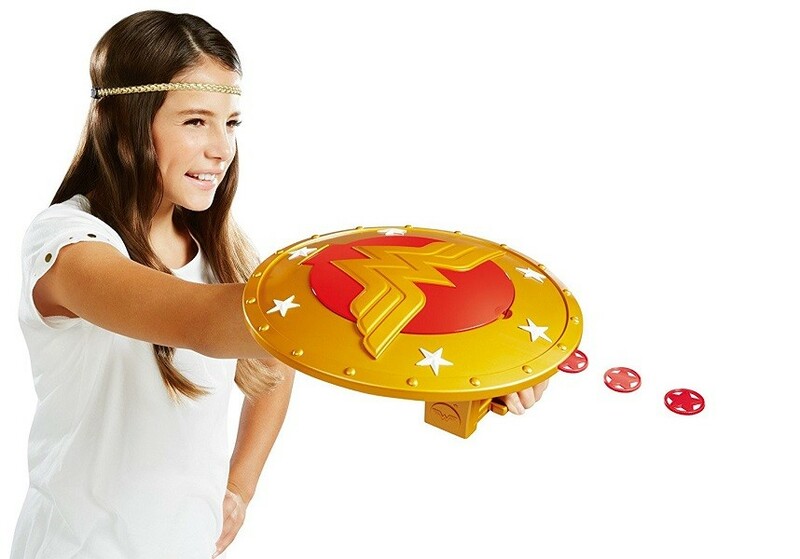 This 11.75" diameter shield is designed to be worn on a forearm, so she'll feel like a real superhero. For more products featuring this iconic DC character, visit our Wonder Woman Collection.